Head-hopping — Have you experienced it? Posted on September 25, 2012 | Comments Off on Head-hopping — Have you experienced it? Head-hopping is not a term I have heard before. Since it came up at a recent meeting of my friends and colleagues at a Northern Colorado Writers, I thought I would share it here. This wordsbybob.com post may be aimed at writers, but it also applies to readers. The reader’s mind is abruptly, and usually without warning, jerked from one orientation or viewpoint to another. One example would be when a first-person narrative suddenly changes to the third person perspective. Comments Off on Head-hopping — Have you experienced it? I try to be aware of words I hear that I have never heard or do not know the definition of. Today, at the monthly Northern Colorado Writers coffee, one such word arose. One of the members was telling about submitting a piece of his writing to a critique group. He said, jokingly I think, that the group would excoriate the work he was submitting. I think this may have been a bit harsh based on my experiences with the two writers critique groups that I belong to. Excoriate means to censure in a scathing manner, to criticize or to berate severely. An example would to excoriate someone for some bad behavior. A secondary definition that I hope did not apply to my fellow writers is to damage, strip off or remove skin. Showroomng is a relatively new term, I think. It came about after more and more merchandise become available for sale on the web. The definition of showrooming is making a purchase on the web after going to a brick and mortar store to look at the merchandise. Many people like the convenience and reassurance of checking out an item before doing the actual purpose. This means that the local store become an unknowing free showroom for the online merchant. This seems to happen a lot with televisions, cameras, and other electronic gear. An offshoot of showrooming is when someone goes to a smaller store for assistance or to get advice from a clerk, and subsequently goes to a big box store where the price is lower to ultimately make a purchase. Some people just don’t like to be around others. So, are they a recluse? 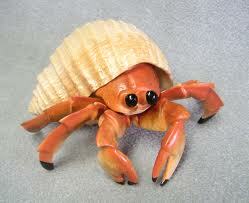 What is the difference from that and a hermit? This shunning of the public is usually voluntary. The word recluse comes from the Latin word recludere. The definition is to “shut up” or sequester. is someone who usually live to some degree away from society and in seclusion. They tend to not like to socialize all the time. Makin friends or acquaintances is not to their liking. They tend to move around a lot but are not socially inept.The word again comes from Latin. The Latin word is eremita which means of the desert. A related word eremos means solitary. There are some that think the reference is the fourth century Desert Fathers. Panoply Can you define it? Posted on September 3, 2012 | Comments Off on Panoply Can you define it? Panoply? I was reading an announcement for an event that was touted to have a panoply of festivities. I had never heard the word panoply before. 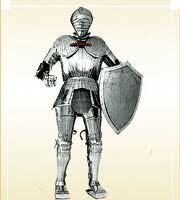 Panoply is Greek word for a full set of armor. The Greek word broken down means “all” and “arms.” So it is a full suit of armor including a shield, breastplate, helmet and weapon. Somewhere along the line the word got changed. Since it mane a completed set of diverse parts or components, it now has a slightly different meaning. The new meaning of panoply is any complete or impressive collection. Any splendid display is considered a panoply. Comments Off on Panoply Can you define it?